Nufarm is dedicated to promoting healthy growth for your plants and your business. Our insecticide, herbicide, fungicide and plant growth regulator solutions deliver results that help ensure your success. 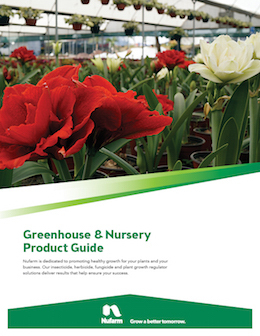 Download the product guide to learn more about Nufarm’s portfolio of greenhouse and nursery products.